What happens when state-of-the-art, modern technology is combined with conventional engineering and manufacturing? A digital revolution in dispensing technology, known as the BMC Media-Kiosk. It’s a radical new way of managing both advertising and auto-dispensing, remotely. It provides an opportunity to sell your product, promote your brand and gather marketing data on your customers. It provides versatility like never before. Renowned as leaders in the vending industry, Canadian–based technology company BMC Universal Technologies proudly introduces the only breakthrough technology that effortlessly combines the profitability of auto-dispensing with the impressive power of HD digital media advertising. The innovative team managing and supporting BMC-UT has designed and manufactured product dispensing equipment for over 50 years, giving the company the longevity and experience often lacking by competitors in the industry. 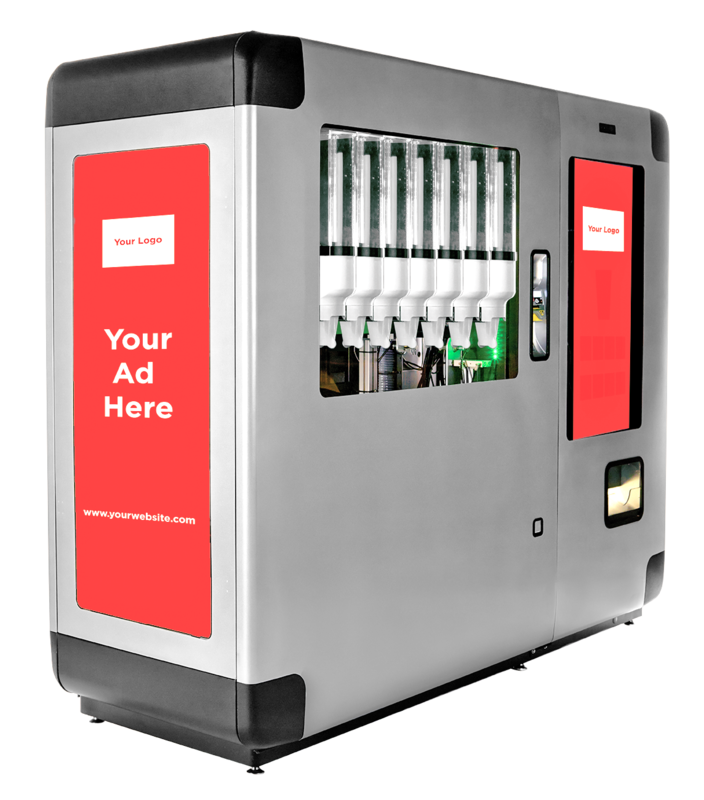 The cutting edge media kiosk unit sources two distinct revenue streams and blends the science of building strategic brand awareness with the art of marketing and advertising. The interactive, promotional kiosk captivates attention, gathers onsite consumer research instantly, and delivers a previously untapped brand experience. It’s the product-dispensing machine of the future with digital adaptability and imagination at its core.